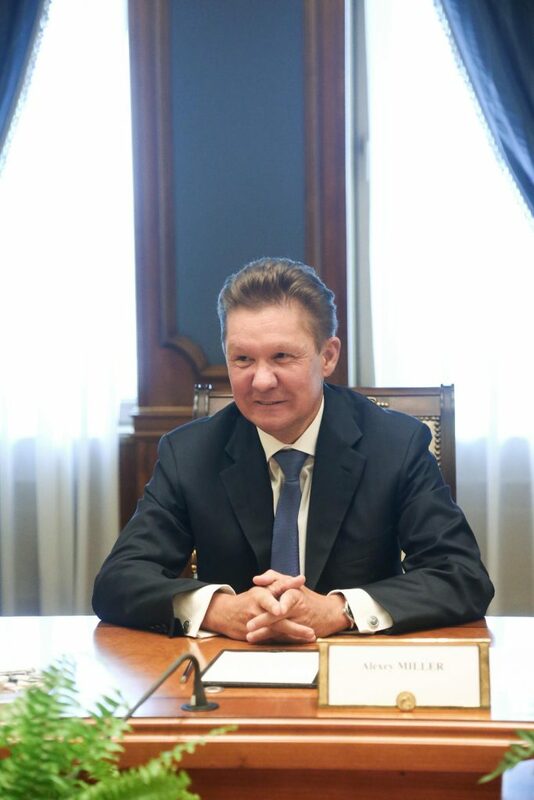 On 1 June 2017, Alexey Miller, chairman of Gazprom, held a meeting with a Greek high official in Sankt Petersburg on securing transit of Russian gas across Greece to Western Europe. The Greek official was Giorgos Tsipras. It was one of his numerous trips to Russia, and one of the many meetings Tsipras and Miller had following Syriza’s election success. Shortly after Giorgos Tsipras left, Marco Alvera, Chief Executive Officer of Snam, came in. A couple of hours earlier Miller had met with Fluxys CEO Pascal De Buck. Both Snam and Fluxys had already expressed their interest in Greece’s DESFA and both companies vowed to support Gazprom’s interests in Greece. 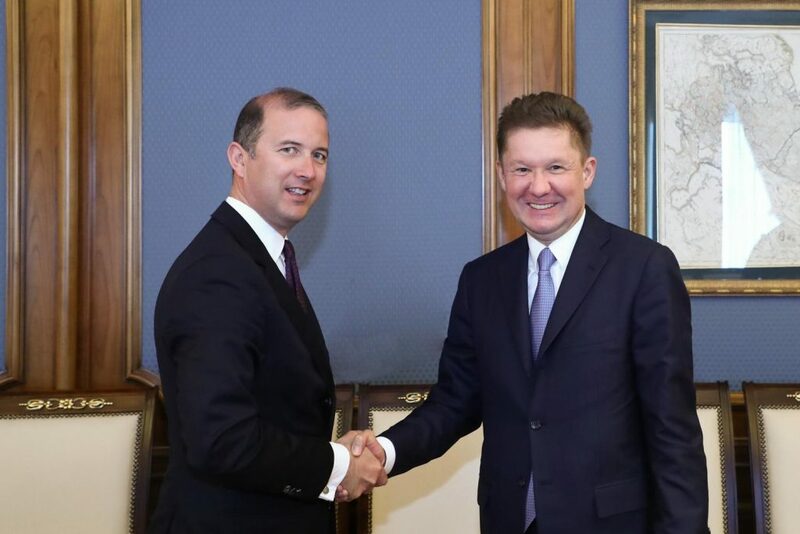 In April 2018, Snam’s CEO visited Alexey Miller in Moscow, and assured him of Snam’s intention to facilitate Gazprom’s access to its infrastructure in Greece. The same month the Tsipras government named the Snam – Fluxys consortium the “preferred investor” in the controversial tender for the Greek gas operator DESFA. Alexis Tsipras unofficially made his cousin Giorgos Tsipras his personal representative on a special mission. And Giorgos Tsipras accomplished this mission: Greece became a Gazprom feud. On 21 April 2015, two months after he was sworn in as Prime Minister of Greece, Alexis Tsipras welcomed a very special guest: Alexey Miller, Gazprom’s boss and Vladimir Putin’s close friend. Gazprom needed access to Greek territory. Russia’s largest company was building a pipeline called Turkish Stream (TurkStream) running across the Black Sea from Russia to Turkey and farther to Turkey’s borders. In order to deliver its fuel to Europe, Gazprom needed a solution for extending the gas pipeline across Greece. 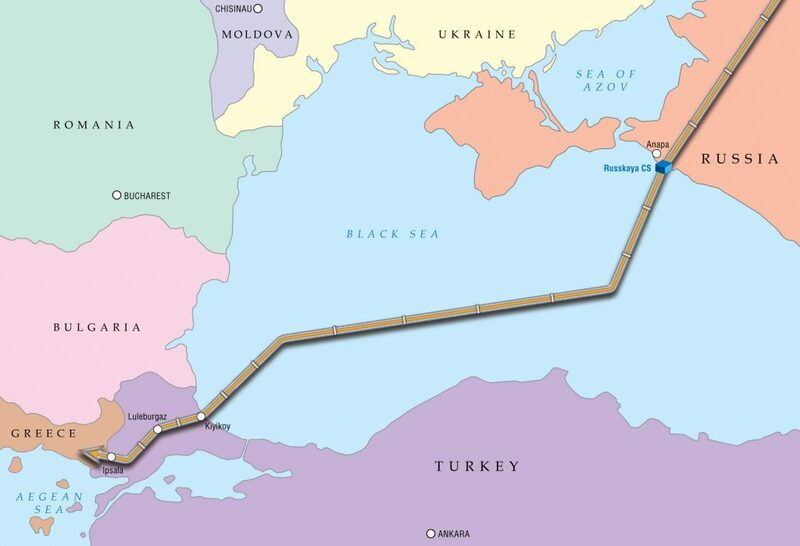 Gazprom was looking for a route from the Turkish-Greek border to Italy, which involved reviving the Poseidon offshore link under the Ionian Sea and using spare capacity in the Trans Adriatic Pipeline (TAP). It was the Greek PM who solved Gazprom’s problem. With Alexis Tsipras’s support, Gazprom joined both Poseidon and TAP projects. Despite an official announcement about “the need to diversify natural gas supply routes to Europe and the prominent role of a new gas pipeline from Russia to Turkey”, Alexis Tsipras decided to keep his deal with Gazprom as secret as possible. 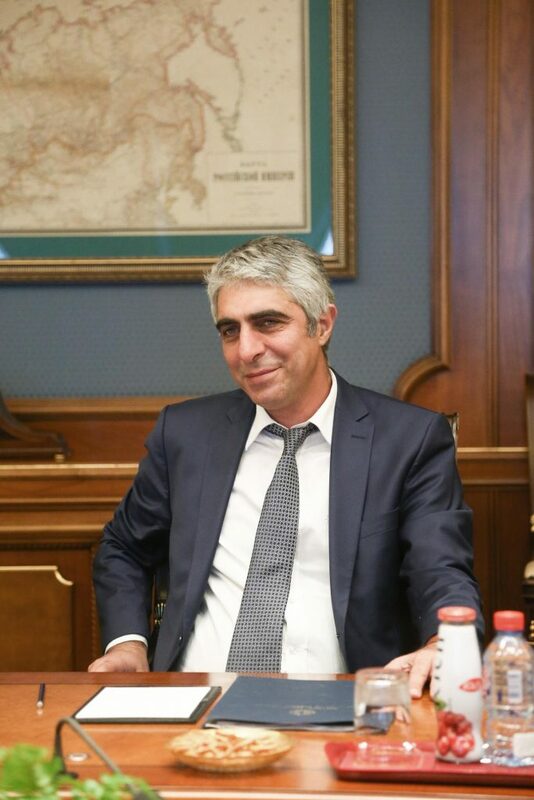 So, he entrusted his cousin, friend and former business partner, Giorgos Tsipras (www.oligarchsinsider.com/), with the task of satisfying Gazprom’s demands. Giorgos Tsipras, who had been promoted Secretary General for International Economic Relations and Development Cooperation in the Ministry of Foreign Affairs, started a series of trips to Russia, without even informing the Foreign Minister. In June 2015, two months after the Alexis Tsipras – Alexey Miller meeting, Giorgos Tsipras was in Russia supervising the signing of a memorandum on the construction of the Greek leg of the Turkish Stream gas pipeline. In October 2015, Giorgos Tsipras met Russian Energy Minister Alexander Novak and Gazprom’s head of Infrastructure and the Project Manager for the New European Pipeline, Leonid Chugunov. In February 2016, Giorgos Tsipras attended the signing ceremony of the Memorandum of Understanding on natural gas deliveries across the Black Sea from Russia via third countries to Greece and from Greece to Italy. On 1 March 2017, a working meeting between the Chairman of the Gazprom Management Committee and the Secretary General for International Economic Relations at the Greek Ministry of Foreign Affairs took place at the Gazprom’s headquarters in Moscow. 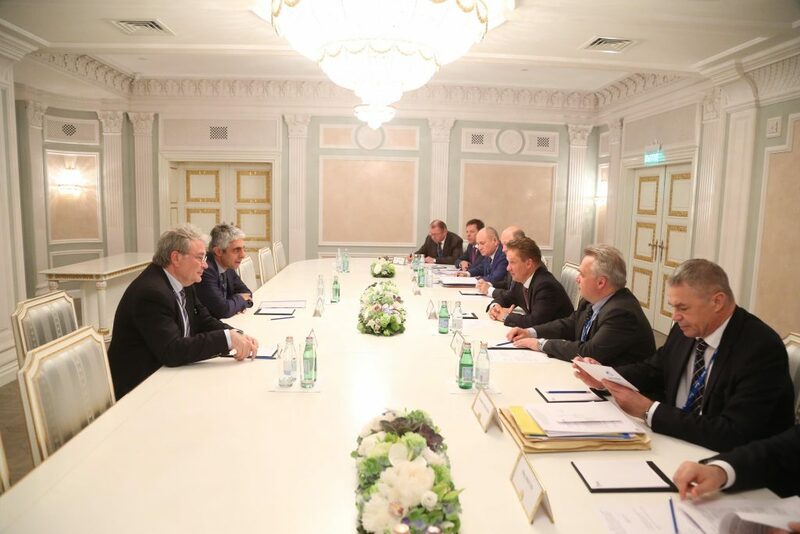 Another “working meeting” between Alexey Miller and Giorgos Tsipras was held only three months later, on 1 June, in Sankt Petersburg. The purpose was, again, the establishment of a southern route for Russian gas supplies to Europe across Greece, following the start of the TurkStream gas pipeline’s construction. Theodoros Kitsakos accompanied Tsipras at the meeting. A member of the governing Syriza party, Kitsakos had been appointed CEO of the public gas corporation – DEPA and chairman of IGI Poseidon in December 2015. 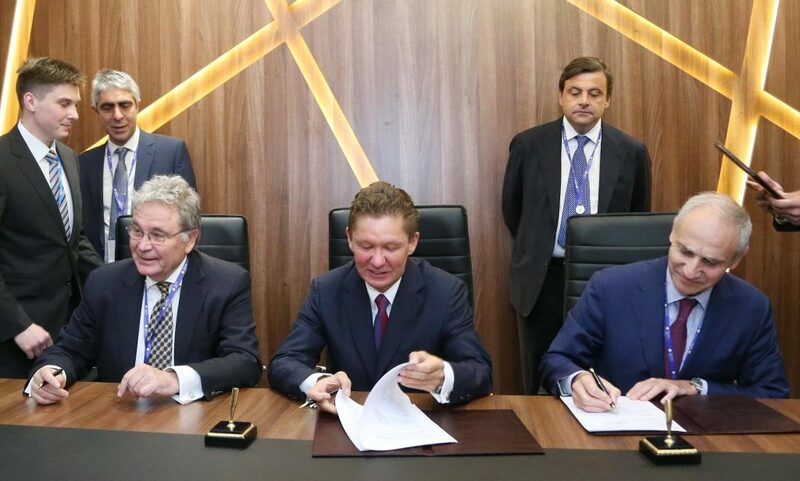 The next day, in the presence of Giorgos Tsipras, Russia’s Gazprom, Greece’s DEPA, and Italy’s Edison inked the Cooperation Agreement on southern route for Russian gas supplies to Europe. The Agreement was a continuation of the February 2016 memorandum, but unlike the memorandum the contract concretely identified the source of the Poseidon pipeline as the second line of the Turkish Stream. According to the document, the southern route will run across Turkey to Greece and further to Italy. But Gazprom’s intention was to join not only Poseidon but also TAP, the so-called “alternative to Russian gas”, a pipeline project starting from Greece to Italy that should have been providing Europe with another large source of natural gas (Azerbaijani gas). Interestingly enough on 1 June 2017, the same day Alexey Miller met Giorgos Tsipras, Gazprom boss also held meetings with two major TAP shareholders: Italy’s Snam and Belgium’s Fluxys. In fact, shortly after Giorgos Tsipras left, Marco Alvera, Chief Executive Officer of Snam, came in to discuss “prospects for cooperation in the context of Gazprom’s projects for Russian gas deliveries to Europe, including via the TurkStream”. Both Snam and Fluxys have a history of strong ties with Gazprom (www.oligarchsinsider.com/) and both vowed to support Gazprom’s interests in Greece. By the time of the June 2017 meetings in Sankt Petersburg, Snam and Fluxys had already expressed their interest in DESFA, Greece’s state-owned gas network operator. The privatisation of DESFA (a wholly owned subsidiary of DEPA) was part of a drive by Greece to sell state assets, a condition of the country’s bailout. On 1 March 2017 the Government Council for Economic Policy published the decision approving the process for a new international tender for the acquisition of a 66% stake in DESFA. The same day, Giorgos Tsipras flew to Moscow for one of his “working meetings” with Alexey Miller at the Gazprom headquarters (see photo above). According to Gazprom, Miller and Tsipras “expressed their appreciation for the current state of the Russian-Greek partnership in the energy sector and prospects for its future development”. A focus was placed on efforts for securing transit of Russian gas across Greece to Italy as part of the TurkStream project. On 26 June 2017, Greece relaunched the tender for the sale of a majority stake in its natural gas grid operator DESFA. A consortium comprised of three shareholders of TAP, Snam, Fluxys and Spain’s Enagas Internacional, submitted a bid for a majority stake in DESFA. In August 2017, Fluxys CEO Pascal De Buck told Belgian media that the participation of Fluxys, Snam and Enagas in the TAP pipeline project might give them an advantage over competitors in the DESFA tender. On 4 April 2018, Snam CEO visited Alexey Miller in Moscow. 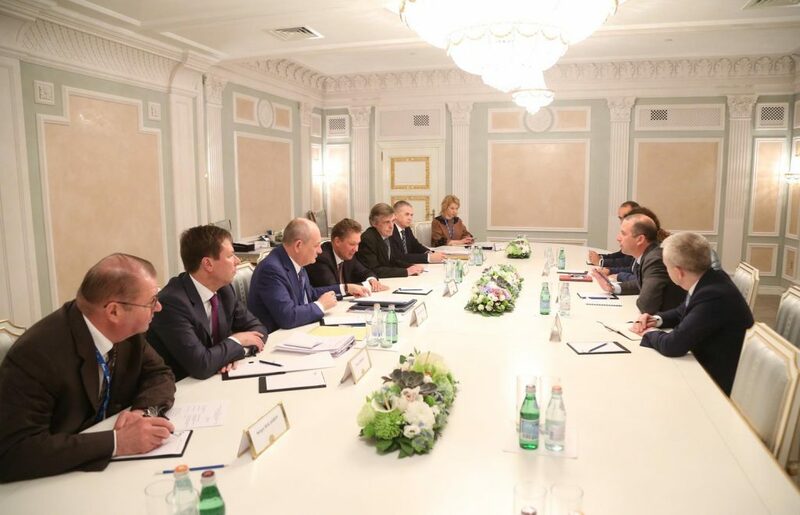 The parties – Gazprom announced – discussed the avenues for cooperation, taking into account the progress of Gazprom’s TurkStream project. Marco Alvera assured Alexey Miller of Snam’s intention to facilitate Gazprom’s access to the TAP pipeline. Two weeks later on 19 April 2018, the Tsipras Government named Snam-led consortium the “preferred investor” for the DESFA privatisation. Gazprom’s friends gave 66 percent of the Greek State’s rights in DESFA to Gazprom Partners.